Underfloor heating installs for Sidmouth, Exeter, Exmouth, Honiton, Topsham, Seaton and East Devon. 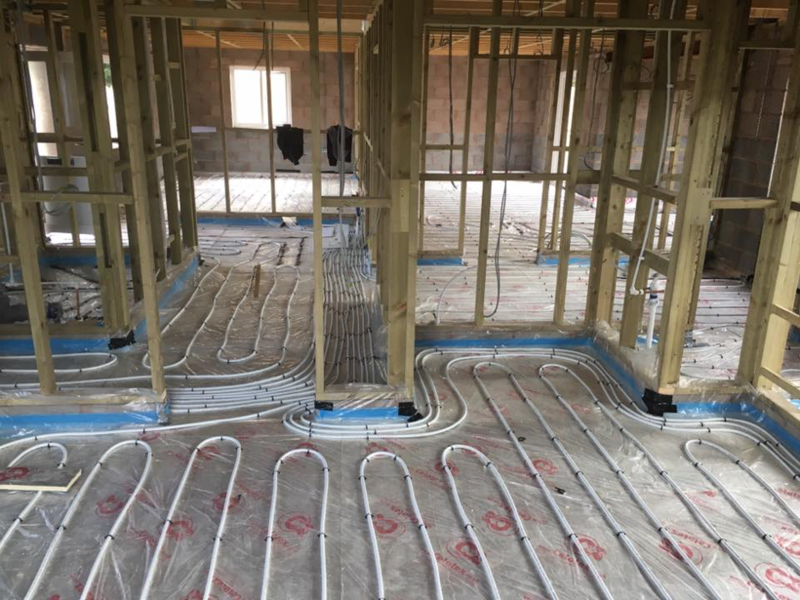 Warm water underfloor heating (UFH) is suitable for new-build and retrofit projects. We provide a full design & installation service. By working together with our clients we aim to design the perfect system with suitable user controls and the upmost reliability. Even warmth that is free from draughts and dust movements as well as giving you space-saving interior design freedom.Not only does UFH provide a superior heat, it is also an efficient heating system that saves you both energy and money. UFH system’s can be desinged for virtually any type of property, whether it’s a new build, a renovation or a conversion. The most important factor when considering UFH for your property is insulation and heat source. nd air tightness. Older properties can benefit, too, with our wide variety of designs we will always find a suitable system for your home. You can have UFH on any floor level, whether a solid or joisted floor. We will always provide you with a solution that meets your needs. If we believe the property is unsuitable for UFH, we will always tell you and advise a more suitable option. 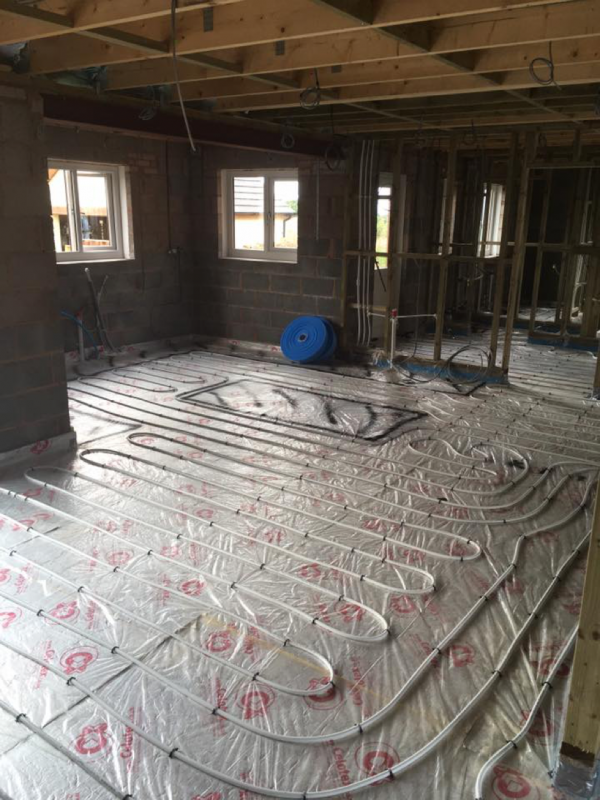 UFH works by pumping a controlled flow of warm water from any heat source through tubing embedded in the floor. Because the emitting area is large, sufficient warmth is provided across the whole floor surface to heat the room effectively. With low water temperatures required, UFH is the perfect partner for both condensing boilers and heat pumps, providing the highest levels of energy efficiency and lowest possible annual running costs. If You’re Thinking About Installation Underfloor Heating Contact Us Now!